Enacted by the Minnesota Legislature in 1858, Winona State Normal School became the first teacher training institution west of the Mississippi. The governor of Minnesota at that time stressed the importance of education in providing for the leaders of tomorrow. The name of the institution has changed several times as it has grown to maturity. But nearly 150 years later, its philosophy of providing a quality education for its graduates and providing qualified leaders for tomorrow has remained a tradition. The founding of this fine institution is now the fitting symbol for Winona State University’s deferred giving group, The 1858 Founders Society. The 1858 Founders Society honors a special group of friends who have provided for Winona State University in their estate plans. A bequest, or other deferred gift of any size, brings membership in this very special recognition society. The gift amount is entirely a member’s choice. There are no required levels of support or membership dues. The amount and condition of each gift remains confidential. Anonymity will also be respected if the donor wishes. 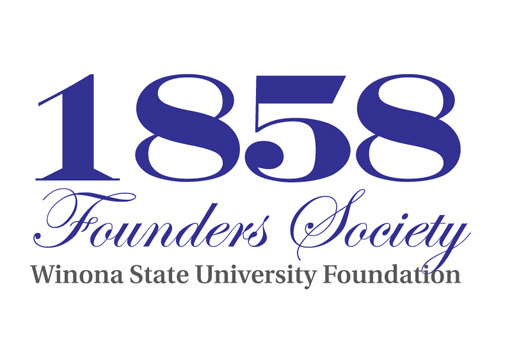 If you would like more information about The 1858 Founders Society or ways to include WSU in your estate plan, please contact us today.